Let me state for the record that feathers are amazing. Not only do they allow birds to soar, glide and flap their way through the air, their structure allows for easy repair. Each of the strands you see coming off of the central shaft of the feather is covered in small barbs, which interlock with the barbs of the strand on either side. Wind, rain and time can ruffle feathers and unstick the barbs, but a bird only has to preen its velcro back together to stay in flying shape. Try it yourself. 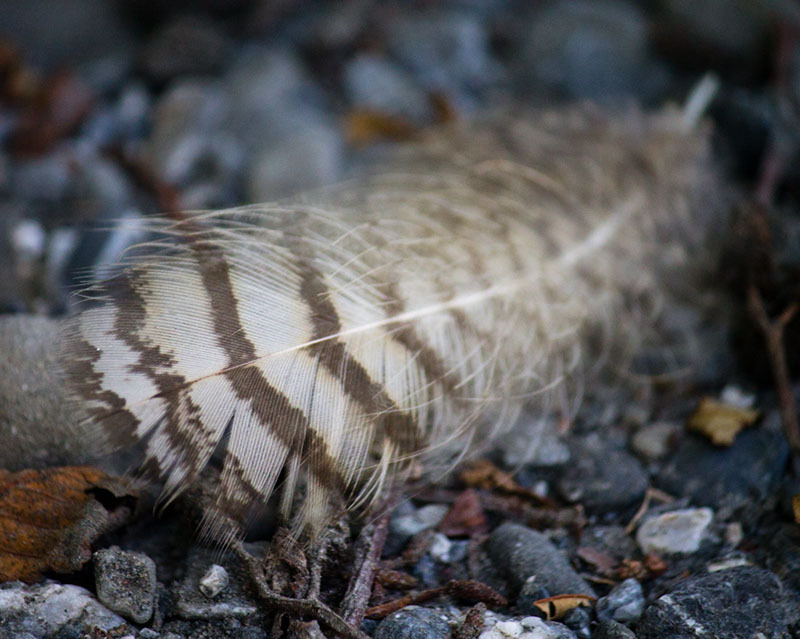 Next time you find a feather, take two ruffled strands next to each other, and gently press them together, running your fingers away from the shaft. With a little patience, you can get the feather back to mint condition. People may look at you like you’re crazy while you do this, but you can always just stare at them with wide eyes, stroke your feather, and say, “I’m getting ready to fly.” That usually gets rid of them.